If I asked you when was the first historical European Martial Arts tournament what would you say? 1997? 2003? How about where? America? Great Britain? Germany? France? What if I told you that the earliest known tournament took place in a region of the globe which we probably don’t hear enough about, but which surely deserves to be known across the HEMA community: Quebec. Yes. The first ever tournament took place on the island of Montreal in 1889. Who was heading this tournament? Perhaps Alfred Hutton on a trip in Canada? Or how about one of those French guys from the Olympics? No, it was another HEMA pioneer. One which is, unfortunately, unknown to us mostly because he did not leave us any manual, but an interesting figure all the same: David Legault. 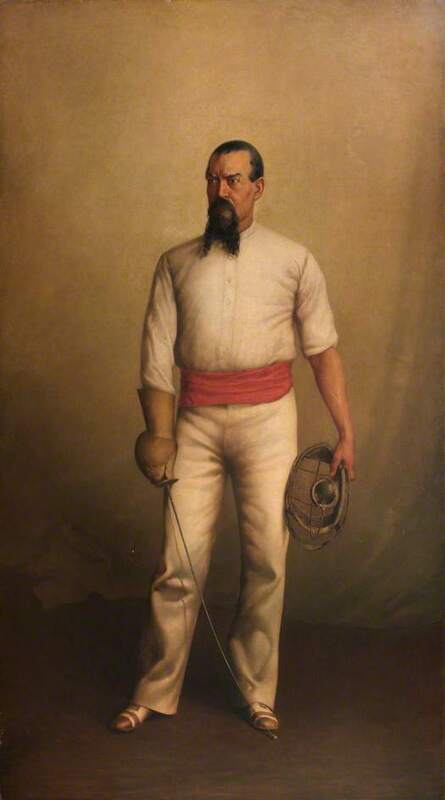 Richard Francis Burton in fencing gear. It is not impossible that Legault and he met. It is quite likely that Legault followed Pons to Paris as he became a provost under the old master. 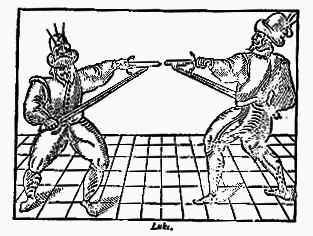 It is unclear if Legault got to meet with some of the figures of early HEMA such as Hutton or even Burton, but it is not impossible as Pons was a real monument in the fencing world at the time and received and traveled frequently. But as Pons maintained quite a “museum” of fencing in his salle, and Hutton only really became active in HEMA after Legault left Europe, it is not impossible then that he became interested in HEMA on his own. 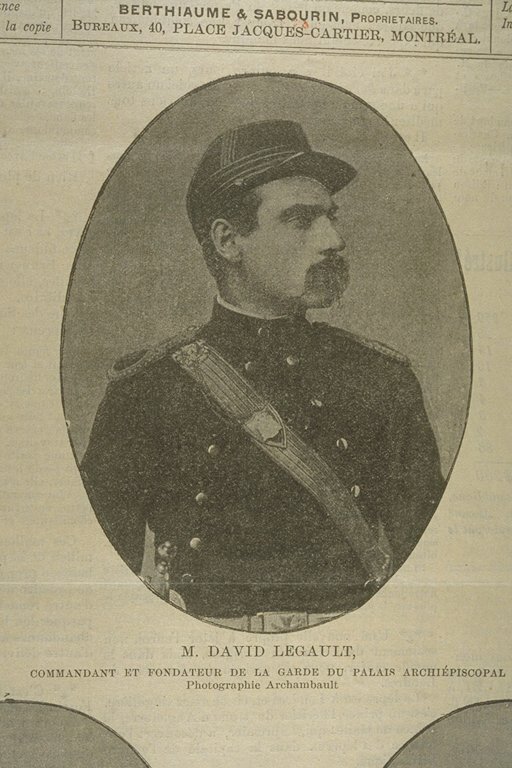 Legault came back to Montreal around 1882. There were very few qualified fencing instructors in town at that time, and the art was going through a revival. 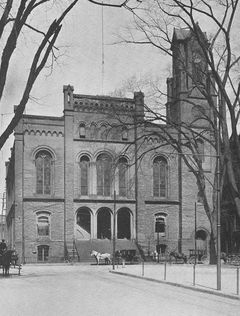 His friends then encouraged David to open up a fencing salle in the former Institut Canadien, a learned French Canadian society which regularly drew the wrath of the Catholic Church. There he taught not only swordsmanship but also boxing, savate, wrestling, great stick, and gymnastics. He will try to introduce the model inside Quebec schools, with more or less success, but his regular classes will grow in popularity and Legault will decide to change the nature of his club; which will become known as the Guard of the Archiepiscopal Palace (Garde du Palais archiépiscopal). This group acted as an honorary guard to the Catholic archbishop of Montreal, as well as a sort of militia to prepare men for military service. Several similar groups were created across the province, all of them teaching fencing. 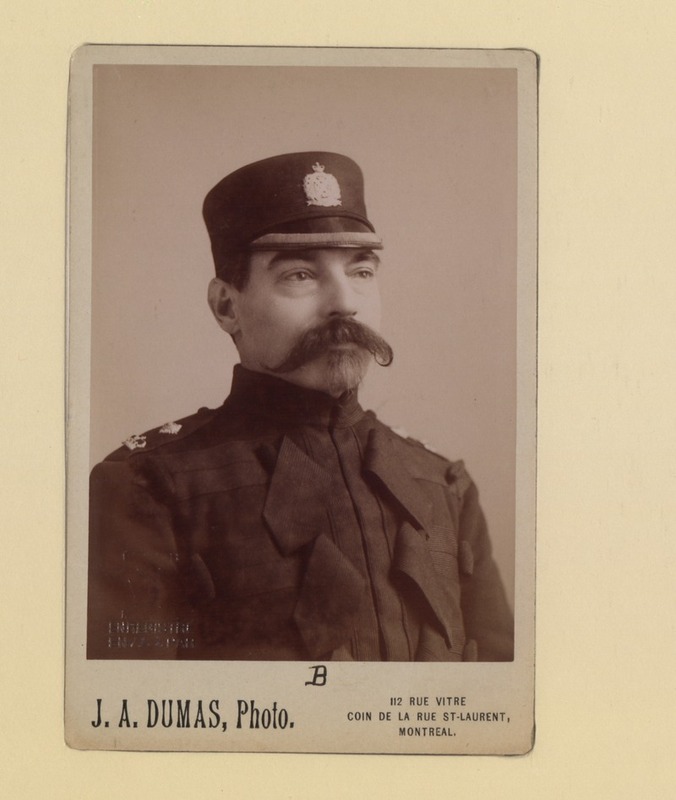 Volunteering in the Canadian army and various official militia units, which were mostly English speaking, was not very popular with French Canadians and many turned toward these groups instead. The club became increasingly successful, making Legault a very popular man in the city. This, in turn, led to his nomination as chief of police in 1901 a position he held for only three years. In 1904, a scandal erupted. David Legault was accused of having taken bribes from local brothels’ owners. Although the accusations were never officially proven, Legault decided to resign from his position to quell the protests. 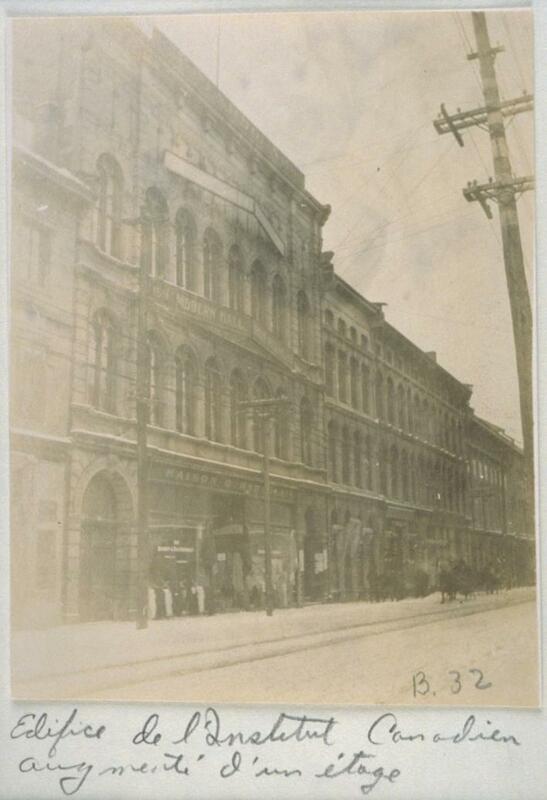 Unfortunately for us, it seems that this spelled the end of HEMA in Montreal for nearly a century. Absolutely nothing else can be found on Legault after his resignation, and the Montreal police destroyed many of their archival documents in the 1970’s, including every mention of their former chief. It seems that his group was dissolved and possibly replaced by Olympic fencing which was rising in popularity. Whether Legault was truly guilty of these crimes or not, he stays one of the first pioneers of HEMA and unjustly one of its lesser known figures. Learning more about his life may lead us to discover more about the early history of the movement. 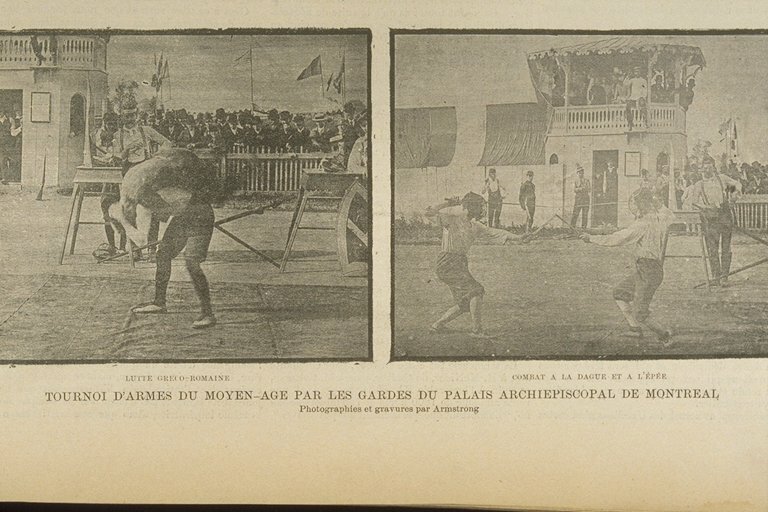 Some readers commented about this article mentioning that there were indeed older events which could be declared “the first HEMA tournament”. These two events are the Eglington Tournament of 1839 and the Tournament of Philadelphia in 1778. While both these events are without doubt much older than the Montreal tournament, there are certain problems when comes the time to consider if they represent HEMA. In my opinion two things are necessary to establish if the tournaments were indeed HEMA: Were they actually practicing martial arts and was there a clear intention to reconstruct and/or study the martial techniques of the past? The Eglinton tournament was held in Scotland in 1839 and represented one of the first reenactments of a Medieval event. 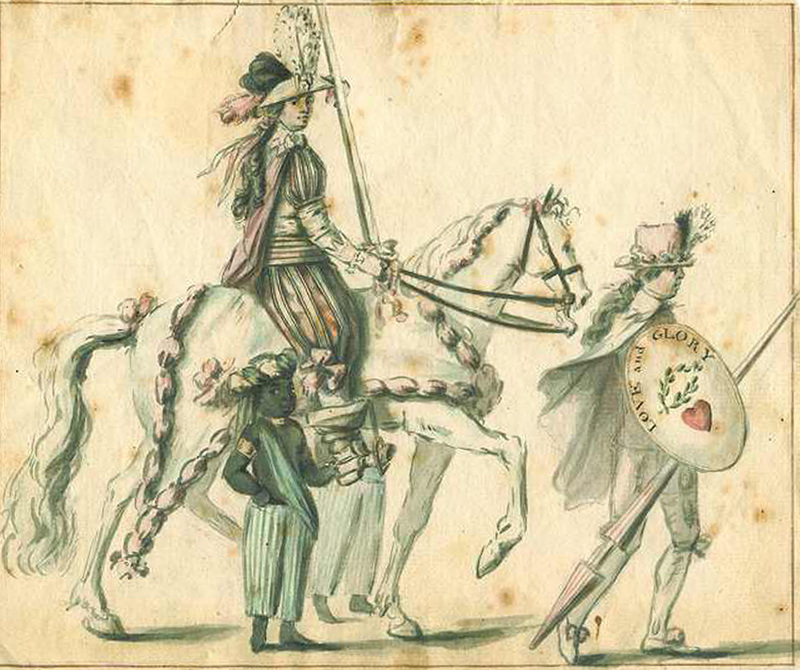 Among the many activities jousting and foot, melees were part of the main attractions and even though the rain all but ruined the event, it became a catalyst for the Gothic Revival movement of the time. The Philadelphia tournament, or Mischianza took place on the 18th of May 1778. It was part of festivities to mark the departure of Sir William Howe, the former commanding officer of the British Forces during the American Revolution. It is unclear if the fights held that day were only theatrics or actual combat but they were clearly a form of romantic reenactment. While jousting and melees were clearly created for the warrior aristocracy, and that their martial skills could be very well applied to them, they are usually not referred to as martial arts but rather as combat games, or as people referred to them back then as Hastilude. The rules which were in effect made these activities somewhat abstract ones. The aim is not so much to develop martial abilities -even though it can be a byproduct- but first and foremost to participate in a martial game. The rules prohibit many useful moves (especially when fighting in armor) and represent more of a means to an end. Martial arts are intended principally for war and self-preservation, jousting is intended for jousting itself. One of the principal aims of the HEMA movement as it was developed during the late 19th century and subsequently in the late 20th was to rediscover how our ancestors individually fought in a life or death situation. The equipment, clothes, and overall historical decorum take a back seat to the techniques themselves. Jousting reenactments were reconstructed with a different optic in mind; rather to replicate the games and rituals of the Medieval aristocracy. Few people today consider modern bohurt or jousting to constitute HEMA. Historical Medieval Battle, for example, is not considered HEMA as it does not seek to understand how Medieval knights fought, but rather to replicate the martial games that they played. Replicating the exact techniques used is secondary; if it is a preoccupation at all. Which leads us to our second criteria: HEMA’s goal is to understand -through proper methodology and the use of historical sources -the martial arts of our ancestors. While there are various documents on the rules of these engagements, the jousting reenactments were not made with the aim of studying the combat styles and techniques, but rather the game itself. In this regard I think they would surely qualify as some of the first tourney reenactments, but not HEMA. I think you’ll have to look much further back to establish “First”. The Fechtschulen of the late 1600s and 1700s were conducted with weapons that were arguably obsolete relics of a bygone era. It seems to me that people have been earnestly trying to reconstruct the martial arts of the past for pretty much as long as there have been martial arts. I see HEMA more as a product of the industrial society. It is well documented that when a society enters that age it suddenly realizes that it is loosing a lot of traditions. Traditional societies don’t really care about preserving cultural heritage so much, because things change much more slowly, and people don’t really question traditions as much. That is why in the 19th century you see this surge of historical societies and museums being created, people studying old crafts and arts and even recreating them not necessarily for their practical value. ← Is HEMA a sport?